The JTX Tri-Fit and JTX Zenith Elliptical Cross Trainers are built to high standards and are ergonomically designed for maximum comfort, offering an effective total-body low-impact workout. Both the JTX Tri-Fit and JTX Zenith Cross Trainers utilize a 17 kg flywheel with electro-magnetic resistance (16 levels) which combine to give smooth, stable and quiet operation. Although smaller in overall size, the JTX Tri-Fit doesn’t compromise on stride length and offers a variable stride length of between 16 and 20”, so users of different heights can find the most comfortable stride length for them. The JTX Zenith offers a fixed extended stride length of 21” which is a gym-standard stride length. 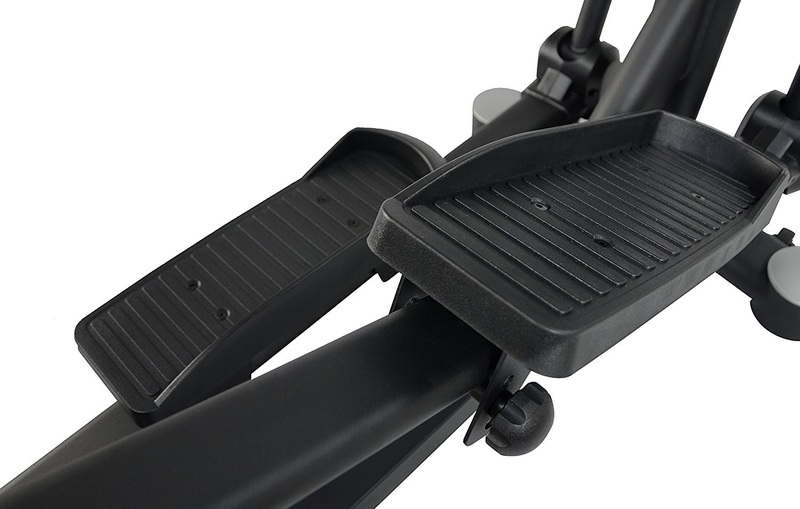 Both cross trainers feature ergonomic footplates with a Q-factor of 150 mm (distance between footplates). 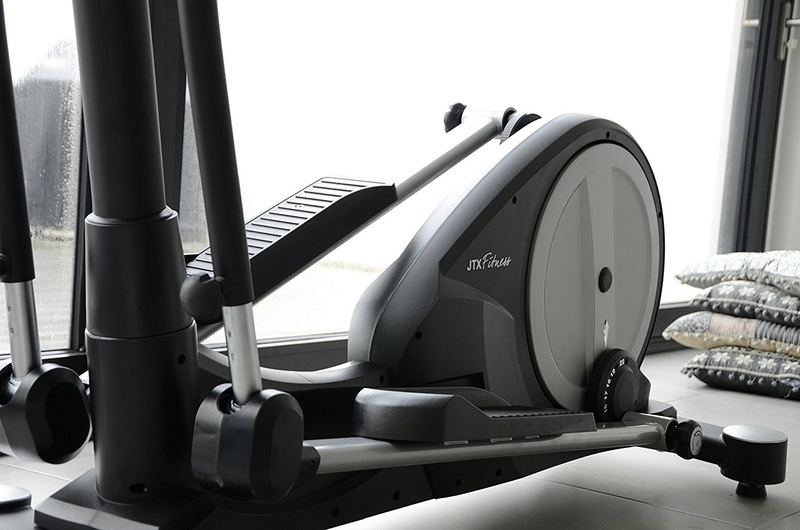 The JTX Tri-Fit has the added benefit of 4 adjustable incline levels which the JTX Zenith does not have. 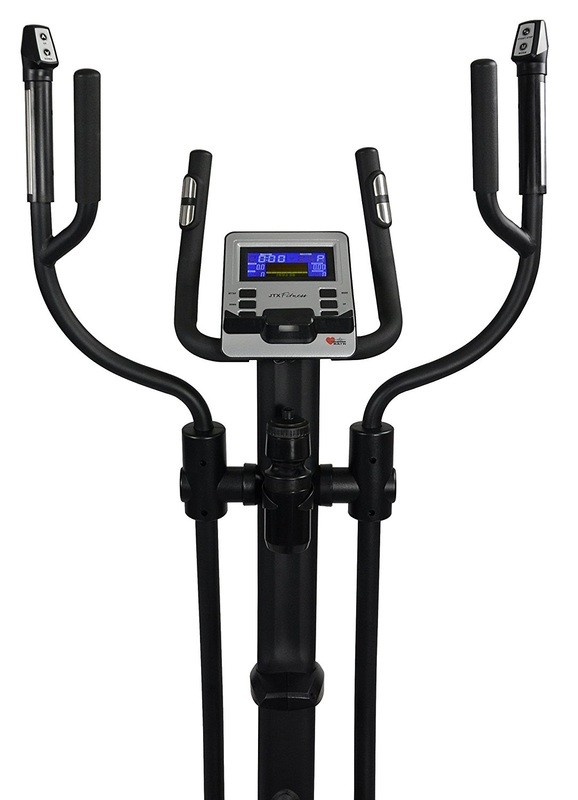 Both the JTX Tri-Fit and JTX Zenith Cross Trainers feature bio-mechanical handles with multi-grip positions on the moving handles to give users of different shapes/size the best ergonomics. The JTX Tri-Fit and JTX Zenith both come with an advanced programmable console, offering 19 pre-set programs as well as Bluetooth connectivity to your mobile phone or tablet for online fitness tracking apps and additional workouts. The JTX cross trainers’ preset programmes include heart-rate (via pulse sensors in handles or telemetry wireless chest strap), intervals, sprints, endurance, fat burning, fitness tests and custom programmes. The difficulty of each programme can be adjusted to make it easier or harder to suit your current fitness level, allowing you to progress at your own pace. Additional programmes can be accessed via the JTX cross trainers’ Bluetooth connectivity and with the free iConsole app which offers interactive motion videos and training routes from around the world. With the iConsole feature, the resistance on the cross trainer will automatically be adjusted to match the type of terrain in the training route and there’s also a photo scroll feature which will transport you to the area you’ve chosen. 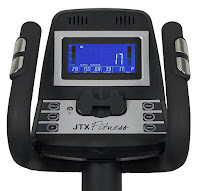 With Bluetooth connectivity, you can even control the JTX cross trainers with your mobile phone or tablet! Other useful features which both the JTX Tri-Fit and JTX Zenith cross trainers both have include built-in speakers with MP3 input so you can listen to your favourite music as you exercise, water bottle holder so you can keep hydrated without having to get off the machine, handy mobile holder, adjustable floor stabilizers for levelling, and front-mounted transport wheels for easy relocation. Being gym-standard, the JTX Zenith Cross Trainer allows for a higher user weight capacity of up to 165 kg compared to the JTX Tri-Fit’s maximum 135 kg user weight capacity. 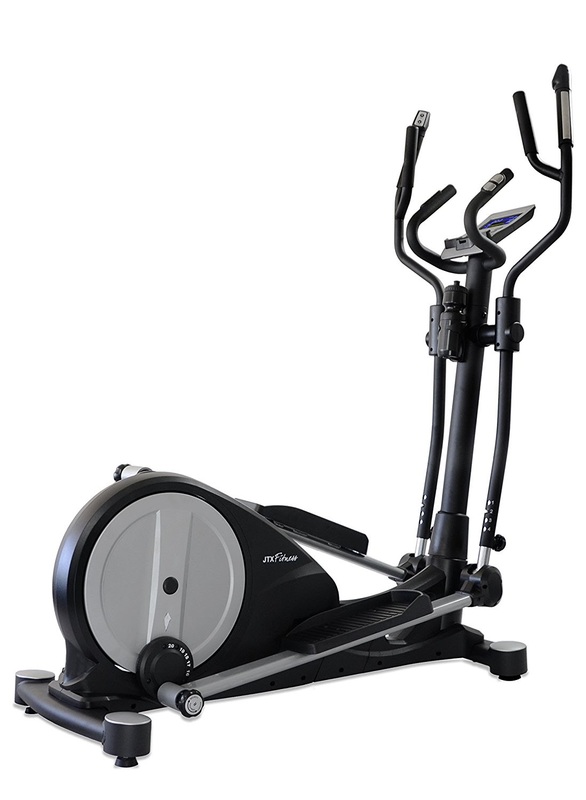 Both the JTX Tri-Fit and JTX Zenith Elliptical Cross Trainers are well-built and offer amazing value for money. 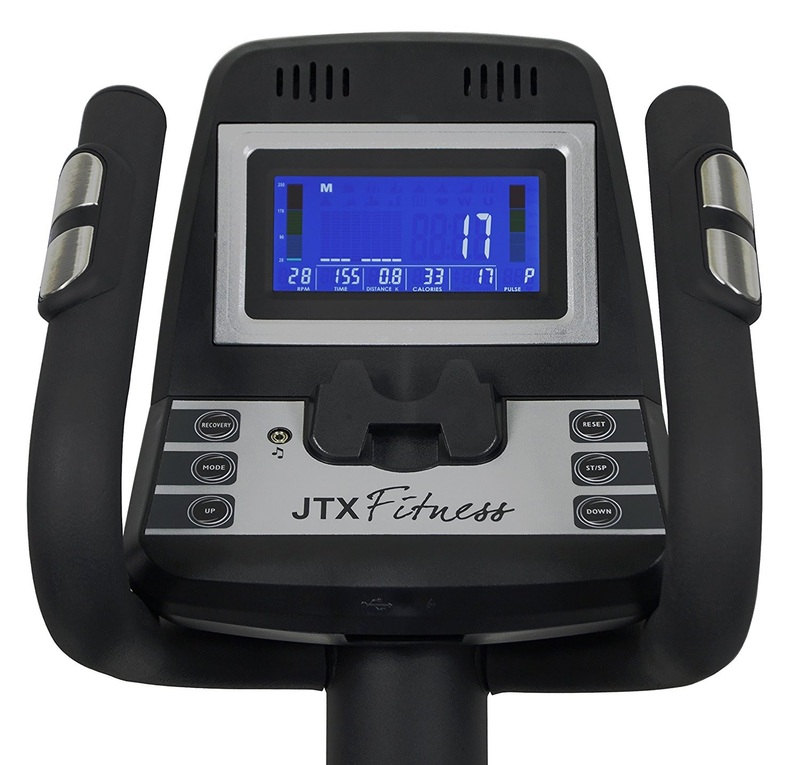 For many people looking to get fit in the comfort of their own home, the JTX Tri-Fit would be more than adequate for their needs, taking up less space and offering adjustability for different users and lots of variety in programs and resistance levels to keep you motivated and challenged. 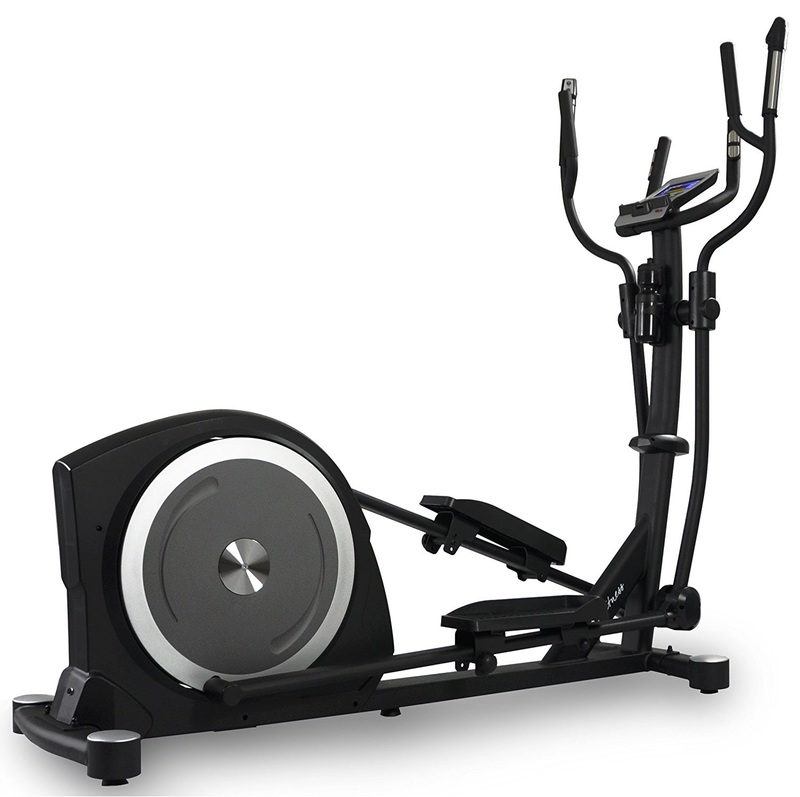 However, if you’re looking for a cross trainer for more intensive use, then opt for the gym-standard JTX Zenith Cross Trainer. It’s a larger machine so will take up more space but is constructed with commercial gym quality components that’s designed to deliver high performance while providing sturdy, smooth and quiet operation. The JTX Zenith has a longer stride length that’s ideal for taller people, and like the Tri-Fit it offers a great variety in programs and resistance levels to keep your workouts motivating and challenging.